Psoriasis Clinical Trials: Are they for You? 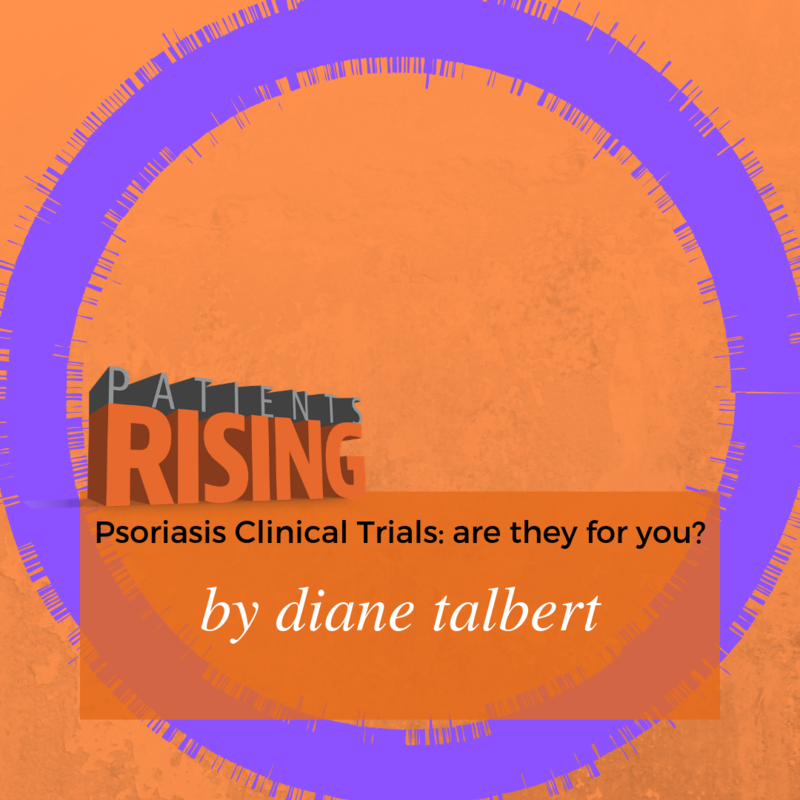 Diane Talbert, psoriasis advocate, says psoriasis clinical trials could be life changing. You could help yourself and help others at the same time. The answer to whether or not clinical trials are the right thing for me was very simple. Yes, they are. I participated in my first clinical trial almost 20 years ago. It didn’t go well at all; put me in the hospital as a matter of fact. It was a trial of a drug that has since been taken off the market. But I was glad to be part of it so that people never had to go through what I did. Even after all of that, I still believe in clinical trials. Have you have ever been approached by someone wanting to “ask you a few questions about” or wanted your opinion on a product? I know we have all looked at a receipt and saw the 800-number at the bottom wanting your feedback on a product in return for something free. The idea of getting people involved is important to both the relationship between company and consumer. Our opinions might help companies decide what products make it to market, or improve ones that already have. At the end of the day, this is a win-win. Clinical trials are a key part of bringing new drugs to market or find new uses for ones that already have. It’s not hard to imagine the changes in the length and quality of life that drugs have made possible. The way companies ask consumers for feedback is a relationship similar to how companies test the effects of drugs on the people who need them. It’s people and companies. Both get something they need. Innovation. In clinical trials, yes, there are risks (I can attest to that). However, clinical trials are overall very safe because they are carefully regulated by the government. Companies enlist scientists who test the safety and side effects of medications or find new ways to diagnose diseases or find more effective ways to use drugs. Any new treatment for cancers or other illnesses go through the process of a clinical trial. I have told you about the importance of clinical trials but what about the benefits? People who sign up for clinical trials may have access to quality healthcare during the trials. In some cases care continues for a period of time afterwards. Participating in a trial is a great opportunity to take charge of your health and to have regular heath check-ups. A medical team will monitor you closely during the clinical trial you are in. In most cases you get access to medications that many people can’t afford or otherwise are not on the market yet. The level of care and the access to new drugs is very important to us with psoriasis. Medication for this disease has always been very expensive and if you decide to get on any biologic than you know they are out of most people’s price range. ARE CLINICAL TRIALS WORTH IT? I believe the benefits far outweigh the risks. Anything we try from the pharmacy or over-the-counter has some risks and side effects too. In a clinical trial the possible risks are all carefully explained so you are better prepared. In a clinical trial someone is always watching over you. Also, most trials are free or at a low cost to you. You may have to pay for transportation, or some aspects of the trial may involve your insurance. Any possible cost to you will be explained before you start. You can always check with your medical provider or the trial coordinators before starting to see if you need to pay anything. There are some clinical trials that compensate you for participating and some pay for transportation. I don’t think it gets any better than that. Having a voice in the medical community. This is a big one for me. I have lost count of the number of studies I have been on and the many people in the medical field I have reach out to and will continue to. Every day I hear someone talking about how expensive it is to treat our disease. Many of us are suffering needlessly. Please get on the band wagon with me and take this time to not only help yourself, but to help others as well. Ask your doctor about clinical trials. They are being done all over the country. Ask some questions and look up some information; this will be one of the biggest decisions you make in your life. Do it now. Patients Rising partners with Clara Health, a company that helps patients find the clinical trials that might fit them best. If you have questions about clinical trials or which ones you can participate in contact Clara Health at https://clarahealth.com/ and click FIND A STUDY. You can also access the government’s clinical trials page, https://clinicaltrials.gov/ , and search for your specific condition, sort by location and get the contact information for the locations performing the clinical trials. 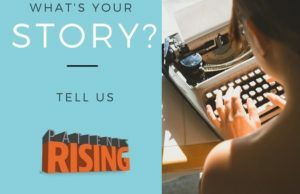 Diane Talbert is a blogger, patient advocate and speaker for psoriasis and psoriatic arthritis. She has been an advocate for this disease for over a decade now. 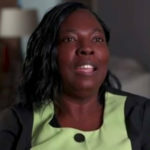 Diane has run support groups in the Maryland, DC and Virginia area, is a volunteer for several organizations and vows to help find a cure for psoriasis and psoriatic arthritis and stop the stigma associated with it. She loves being a wife, mother and grandmother.